Last week on Called to Coach we hosted Gallup Senior Practice Expert Lisa Peterson. 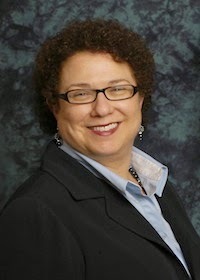 Lisa has more than 30 years of experience as a consultant, coach, and human resources executive. Her wealth of expertise includes human capital strategy, organizational development, talent management, human resources management, and executive coaching. Lisa was introduced to strengths during her career at Stryker. While there, she primarily used strengths for the early identification of individuals’ talents in order to produce and develop exceptional teams. Knowing individuals’ talents also gave managers a great resource to maximize the performance of their respective teams. One of Lisa’s favorite books is Power of 2, which she has found to be a great resource for leaders and managers to understand just how important it is for individuals to collaborate. As individuals more frequently collaborate with one another, their engagement and overall happiness often increases as a result. To piggyback on the spirit of collaborative partnerships, Lisa also talked about how to use strengths in a mentor-mentee relationship. Mentors need to know the strengths of those they are mentoring in order to understand how they can leverage their own strengths for a perfect partnership. It’s also important for the mentee to clarify his or her expectations going into the mentorship process. When both individuals are on the same page with their expectations and how their strengths work together, it lays the foundation for a powerful relationship. To hear more about Lisa and her experience with strengths, watch the full video above. Register now for the next Called to Coach on Friday, June 20, at 1 p.m. EDT when we will host Gallup-Certified Strengths Coach Margret Trilli. Join us for Theme Thursday on June 12, at 1 p.m. EDT. Register today to hear Curt Liesveld and Kristin Gregory dive into the Individualization theme! Keep the coaching conversation going at the Called to Coach Facebook page. It’s a great way to network with others who share a passion for strengths. Lisa serves as a thought leader and trusted strategic adviser on selection, engagement, leadership development, succession planning, organizational identity, change management, and mergers and acquisitions. She has advised Fortune 500 leaders in the medical technology, electronics, retail, and hospitality sectors; and advised leaders of nonprofits in education, hunger, and community services. Lisa’s top five strengths: Responsibility | Maximizer | Relator | Achiever | Learner.